Podcasts are exploding! More Americans than ever are listening to podcasts, and this is your chance to help shape the listening experience for millions of Americans. APM has been at the forefront of podcasting, and as a top 10 podcast network, this is a unique opportunity to provide the editorial and creative leadership for an amazing and growing group of programs and producers. Podcasts present a unique opportunity to expand our audiences, engage audiences in new ways, and tell stories and share insights in ways that we haven't been able to in the past. The Creative Director & Executive Producer of Podcasting sits at the apex of the podcasting content we create by working with our existing portfolio of shows and creating a new portfolio of programming. The Director oversees the majority of APM's national podcasts and is focused on building out the size and diversity of the public media audience through podcasts and other on demand programs. A significant amount of this role's focus will be on new program development with an expectation that APM will pilot and test 4 - 6 new podcasts a year. The Director will spend a great deal of time developing and harnessing a network of contacts to identify new talent, including potential content partnerships. All of the above depends on great content. The Director provides editorial leadership over the entire portfolio and ensures it meets standards that are focused first and foremost on our audiences. The Director ensures that we are informing, entertaining, delighting and surprising our audiences. 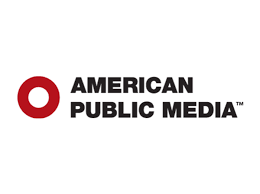 Through that process, this role is focused on expanding our audiences beyond the traditional core public radio audience into new areas while maintaining APM's mission and focus. This person is one of two key leadership positions in our podcasting group. They work along aside a business leader who provides the non-content support as we grow our podcasting portfolio. Note: There is the possibility of this person working in LA or NYC, but the person should plan to spend at least two-thirds of their time in St. Paul their first year, and at least 50% of their time in subsequent years.